The ENFP is quirky, curious, creative, and idealistic. As one of the most open-minded personality types, ENFPs bring an experimental and explorative attitude to their life and work. Enticed by new ideas, cultures, and possibilities, ENFPs enjoy traveling and are reluctant to stay in one place too long. The ENFP mind is constantly noticing patterns, making associations, and generating new ideas. Thus, individuals of this type tend to make excellent brainstormers, innovators, and artists of all sorts. Because ENFPs’ interests and curiosities are manifold, many find it difficult to pin down who they are and what they should do with their lives. Many are terrified by the thought of committing to a single career path or relationship, as this threatens their ability to operate in a free and open-ended fashion. Indeed, if ENFPs had it their way, they would get paid to learn and explore rather than disingenuously commit to a single career. 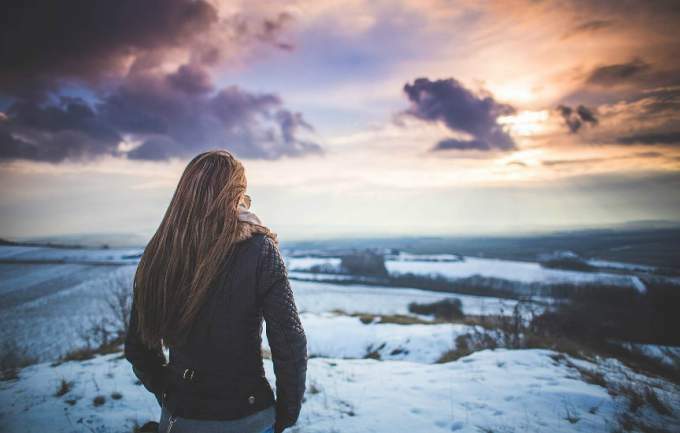 Despite their characteristic openness, ENFPs gradually develop and refine a set of personal beliefs and values that can ultimately serve as the foundation for their sense of self. When combined with their intuitive capacities, these core values can also engender a sense of idealism that guides and informs their life’s purpose. Thus, more seasoned ENFPs are not only open and curious, but are often compelled to function as champions and change agents. This combination of openness and idealism is well explained by their top two personality functions, which Carl Jung dubbed Extraverted Intuition (Ne) and Introverted Feeling (Fi). The “ENFP” notion is by no means a new one, having first been coined by Myers and Briggs in the mid-20th century. 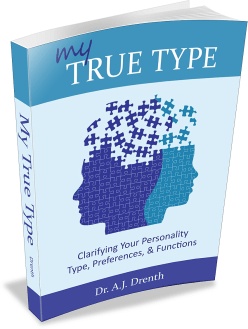 It is only recently that a website called 16 Personalities has ventured to append the letters T and A to the types, ironically (considering their site’s moniker) increasing the number of personality types from 16 to 32. According to 16 Personalities, the A variable stands for “assertive” and the T for “turbulent.” In my view, this is a rather strange classification considering that these terms do not constitute conceptual opposites. Terms like “steady” or “consistent” would seemingly be better paired with turbulent, as would a term like “passive” with assertive. Despite these ostensible shortcomings, we will now make some comparisons between the ENFP-T vs. ENFP-A personality type. If one were to prognosticate about whether ENFPs are more assertive or turbulent, a decent case could be made for both. But according to Google search data, approximately 60% of ENFPs test as the ENFP-T personality type. Their propensity for turbulence may be explained in terms of a couple of personality factors. Perhaps most significant is the ENFP’s curiosity, spontaneity, and love of novelty. As we’ve seen, this type loves to explore new ideas, connections, and possibilities. As much as any other type, ENFPs are open to changing course should a more interesting or desirable option enter their purview. While at times earning them criticism for being fickle, indecisive, or distractible (i.e., turbulent), their openness and adaptability is also their greatest strength. Another potential contributor to ENFPs’ turbulence is their tendency to be “highly sensitive persons” (HSPs). As discussed in my INFJ-T vs. INFJ-A post, one can discern a close relationship between turbulence and high levels of sensitivity. Sensitive ENFPs exhibit more pronounced responses to both internal and external stimuli, leading to greater fluctuations / turbulence in their moods and emotions. On a more positive note, being “thinner skinned” may allow them to absorb more information, including subtleties that are lost on less sensitive types. So while it may be tempting at first blush to view turbulence as less healthy or less desirable than assertiveness, a closer look suggests this is not necessarily the case. Individuals who test as the ENFP-A type are apt to be more assertive and perhaps less sensitive than those of the ENFP-T persuasion. With that said, the fact that ENFPs are extraverts makes them likely to be assertive than their introverted counterparts (e.g., only 20% of INFPs score as assertive while 80% test as the INFP-T type). According to the Big Five taxonomy, assertiveness is one of the signature features of extraversion. Generally speaking, extraverts are quicker to act, less self-conscious, and display greater confidence navigating social territories than introverts. Because ENFPs often exhibit both T and A propensities in significant measure, many will struggle to determine which describes them better. However, because of the conceptual and empirical shortcomings of the T-A concept, it seems more important that ENFPs work to gain a deeper understanding of their core personality type, discovering all they can about what it means to be an ENFP.